Offering you a complete choice of products which include frozen tray. Being a quality-oriented firm, we are engaged in offering Plastic VAC Tray to the clients. Our offered tray is manufactured by employing unique thermoforming process in which heat, vacuum and pressure are applied to form the desired shape for the tray. These trays can be custom-made to any size and other specifications as per the clients’ needs. 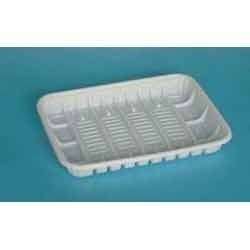 Looking for Frozen Tray ?